Eating less is the best-tested and surest way to a younger body and an increased life span. But it’s a hard discipline to maintain, and many of us would welcome an easier alternative. Perhaps we can realize some of the benefits applying a more temporary exercise of willpower, with intermittent fasting. It’s counter-intuitive, but seems to be true, that health and longevity are better served by clumping up our food consumption (feast and famine) than by spreading food consumption evenly through the day and through the week. The topic is controversial, and the evidence is not just unclear, it’s contradictory. The bottom line is that it is worth trying. Some people who drift away from diets involving consistent discipline find that they can comply on an intermittent schedule. Experiment with different schedules, because individual response varies widely. The link between restricted diet and longer life goes back at least to Benjamin Franklin: “To lengthen thy life, lessen thy meals,” said Poor Richard. Formal experiments on mice established the benefits of calorie restriction in the 1930s. But calorie restriction remained a backwater of research, unknown to most biologists, let alone the public. Beginning in 1946, intermittent fasting was introduced as an alternative lab regimen that required less measuring and monitoring. These early experiments suggested great promise for cancer prevention and life extension by restricting access to food on various schedules. This was exploratory work, and the experimenters were not keeping proper controls, or varying just one factor at a time, so it’s hard for us now to fit those results into the base of later experiments. In the 1980s, caloric restriction was already well-established as a robust way to extend life span, and alternate-day feeding and fasting was re-discovered. In the best outcome, rats lived 83% longer when fed every other day. Looking back from today, we would want to ask: how much of that benefit came from lower consumption overall, and how much from the schedule and periods of fasting? Did they eat much less overall? Or did they gorge themselves on the in-between days and make up for lost time? Though no records were kept of the animals’ food consumption, the results seemed to be too good to be due to reduced calories alone. The schedule seemed to be at least a contributing factor in the success of the diet. Some species are adapted to graze continuously, while others have a much greater capacity to store food and digest it slowly. Even within the same species, different varieties may react very differently to alternate-day diets. A study by Goodrick (1990) highlighted the different responses of two strains of mice. Both were put on the same every-other-day regimen. Both maintained their body weights, with no significant differences from control animals fed ad libitum. But one strain enjoyed consistent life extension, and the other suffered a slight decrease in life span from EOD feeding. Longer fasts of several days, less frequently. Long-term human studies of EOD fasting and longevity are not available. (People don’t like to live in cages, or eat the same thing as other subjects for years on end.) So instead we look for hints in the short-term metabolic response to intermittent fasting. The metabolic connection of diet to aging is mediated through the insulin metabolism, so it is logical to ask what are the effects on insulin levels, insulin sensitivity, and blood glucose. EOD fasting shows benefits comparable to CR for some but not all of these. Higher levels of HDL (“good cholesterol”) have been reported for humans and animals, and there is good support for lowering of cancer risk in animal studies, but no data yet for humans. In the most pessimistic study, combining calories of 3 meals into one big meal in the evening had a negative effect on the insulin metabolism. An intriguing benefit of the EOD regimen seems to be an increase in BDNF (brain-derived neurotropic factor). This is a hormone that promotes new nerve growth in the brain, and presumably is related to the ability to learn. BDNF levels decline with age. There is good evidence that some of the benefits of EOD fasting and of CR generally are not direct effects on the metabolism, but are mediated through the nervous system. Maybe you have to feel hungry to receive the health benefits. The BDNF connection supports that idea. For some people, losing weight is an end in itself, and a primary goal. But even if your focus is on other benefits (life extension or long-term health), weight loss is a good sign that the diet is working for you. If you are not losing weight, there still might be benefits from intermittent fasting, but it is harder to know. For most people, trying to eat less via willpower is counterproductive. A large majority of people who stay on a diet using discipline find that they regain more weight than they lost after their resolve runs out. Such statistics, of course, always apply to other people, and each of us knows we can do better. And some of us are right. Experiment with a chosen fasting schedule. Stick with it at least a month to give yourself time to adapt, and to average over varying life circumstances. The right diet for you is the one you can live with. When you find a schedule that is right for you, you will enjoy lightness and alertness; you won’t feel deprived or resentful; there will be satisfaction in caring for yourself well, and sensing it. Krista Varady of Univ of Illinois has a research program helping people with every-other-day diets with 7 years of experience. Varady reports good success using a schedule of alternate day dieting, in which subjects eat one meal on the in-between days, a normal lunch of 400-600 calories depending on body size. On the eating days, she says subjects average 10% more than their usual diet, but do not pig out regularly, once they get used to the routine. Some subjects drop out of the program, but for >80% compliance is good. She says many people are able to stick with this EOD schedule long-term, to lose weight quickly and keep it off. In summary, intermittent fasting is likely to work, but not for everyone. Only personal experimentation can tell you if you’re able to accommodate to fasting, if it can fit into the demands of your life, if you tend to overeat before and after. Personal note: I’ve found I can live with a complete fast one day a week (usually on Thursday). I also try to extend my overnight fast at least 12 hours. I don’t think I eat less overall, because I actually gained a couple of pounds when I started doing this in 1997. But weekly fasting offers a kind of sabbath that feels right to me, makes me a little less focused, less verbal, less patient but more introspective. Last week we talked about a wrong turn taken by 20th Century evolutionary theory. Foundation for the theory was laid in the 1930s in a model put forward by a towering figure of statistical science, R. A. Fisher. Fisher’s model was based upon competition among individual genes distributed through members of a breeding population. He measured success of a gene by the number of copies of that gene in the population, and he equated Darwinian fitness with the rate at which that number would increase from generation to generation. This is a narrow and one-sided interpretation of Darwin’s original theory, but it is regarded by most researchers in the field today as axiomatic. Though the “selfish gene” was introduced only thirty years later (by Richard Dawkins), this term perfectly describes Fisher’s model. There is no provision for cooperation in this model. In fact, the ubiquitous webs of cooperation that we find in nature are paradoxical and mysterious for 20th-century evolutionary theory. Fisher was influenced by two things that we might now regard as peripheral distractions, or worse. First, there were no computers in his day, and he was looking for equations that were simple enough to be solved by hand. Second, Fisher was a Social Darwinist and a eugenicist, and (perhaps subconsciously) he was creating a scientific system that would support his social beliefs. Decades after Fisher, there was a worldwide community of evolutionary scientists who were trained and experienced in thinking within his framework, and skilled in solving equations involving the variable (gene frequency) that Fisher had deemed important. In the 1970s and 80s, the field of Evolutionary Ecology was established, mathematically acknowledging what Darwin had told us all along, that fitness is not an objective characteristic of an individual gene, but a function of the interaction between an organism and its ecosystem. As the etymology implies, it is about a “fit” between an individual’s traits and the ecological niche in which it lives. Fitness is relative, and evolutionary processes can only be properly understood in terms of a system of changing individual genes and changing ecosystems. In the 1970s, the belief became established that ecological change was generally much slower than the change in gene frequency, so that the ecology might usefully be regarded as a fixed background in which gene frequency of a (constant) population could be followed and analyzed. This was a vindication of Fisher’s model. Much more recently, ecosystems have been observed changing just as fast or faster than the organisms within them. But today it is still a minority of evolutionary theorists who believe that ecological change is not generally slower than genetic change, so that the two must properly be regarded as a system more complex and intractable than the one Fisher described. To them, the “selfish gene” is a narrow, incomplete way of looking at evolution, and describes only one piece of the story. What has this to do with aging? Within the “selfish gene” paradigm, aging is worse than useless to an individual. Aging always decreases fitness. It is inconceivable that there could be “aging genes”, evolved mechanisms of self-destruction on a fixed timetable. stated thus in a 2004 Scientific American article by Leonard Hayflick and Jay Olshansky. The range of life spans in nature spans a factor of a million. Some of the same mechanisms of aging are involved on vastly different time scales. Bats live ten times longer than mice, while burning up a lot more energy and generating more free radicals. This says that the rate of aging is not controlled by (for example) the natural rate at which proteins become oxidized or sugars cross-linked, but rather that the repair mechanisms for these processes are shut down on a schedule that the body chooses. Genes that regulate aging have been conserved for a billion years, since the dawn of eukaryotic life. All other known genes that have conserved on such a scale relate to core metabolic processes that are absolutely essential to life. It seems that natural selection has treated aging as a process absolutely essential to life. Life span is extended not by helping the body along or shielding it from damage but by challenging the body. For example (to describe a familiar process in a provocative way), life span is shortened by having enough to eat. What could it be that the body is capable of doing to protect itself when it is half-starved, but not capable of doing when food energy is plentiful? There are two ancient modes of programmed death at the cellular level, namely apoptosis and telomere shortening. These are the primary modes of aging in protozoans, and both these mechanisms seem to have been preserved and modified over time, so that they are both implicated in human aging today. Why does it matter whether aging is programmed? Our concept of what aging is and where it comes from has a profound effect on our approach to anti-aging medicine, and has influenced the course of research on diseases of old age such as cancer, atherosclerosis and Alzheimer’s as well. If you believe that aging is a process of accumulated damage, then you want to help the body’s natural defenses. But if you believe in programmed aging, then you want to thwart the body’s natural self-destruction – jam the signaling that controls self-destruction, or trick the body into a younger gene expression profile. If you believe that evolution has already optimized the body for the longest possible life span, then improving on Mother Nature is going to be difficult indeed. Things that go wrong with age must be because evolution has tried and failed to find a solution, and it is up to us to engineer something that is cleverer and more effective than nature was able to find. But if you believe that evolution has programmed the body to self-destruct on a time schedule, then you look for the clock that sets off the time bomb, you study the body’s signaling language to learn how the assault is triggered. Here are some of the ways in which the body actively self-destructs. These are ripe targets for research that will not only lengthen life spans, but also lighten the burden of diseases of old age, lessen suffering, and relieve an overtaxed system of medical care. Inflammation turns against healthy cells, destroying joints and arteries and brain cells, as well as increasing cancer risk. The immune system shuts down over time, making us more vulnerable to infections and cancer. 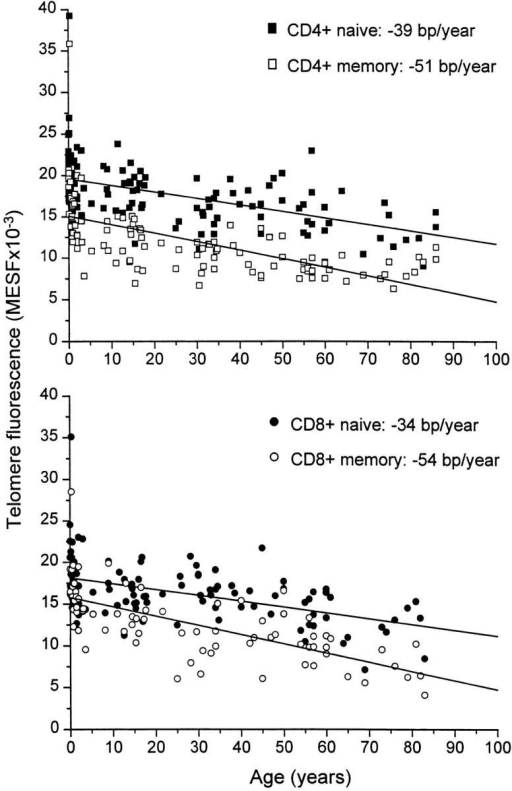 Telomeres shorten with age, and the stem cells we need for healing and regrowth are fewer in number and less active. Apoptosis – programmed cell death – destroys healthy tissue, especially muscles and neurons. Re-channeling just a small portion of medical research funding into these areas holds the possibility for simultaneous and enormous benefits in many aspects of our health. see the author’s permanent page at AgingAdvice.org. Darwin’s legacy, his gift to science is the idea of a creative competition that selects the strong, the robust, the fertile, and thereby ratchets the complexity of life. But does this contest take place one individual against another? Or more collectively, species against species? Do whole ecosystems compete with other ecosystems, or is it “every gene for itself”? These are questions which it seems Darwin never posed. Apparently, he did not think of these different modalities of natural selection as antagonistic or mutually exclusive, because at different times, in different books, he described the mode of competition variously, as suited the trait or natural phenomenon that he was seeking to explain. The “selfish gene” idea in particular did not come from Darwin; in fact, Darwin knew nothing of the mechanism of biological inheritance. The words “gene” and “genetics” were coined by Gregory William Bateson 20 years after his death, and though Gregor Mendel with his pea plants was working out the fundamental laws of heredity contemporaneously with the Origin of Species, yet Darwin never knew of this keystone discovery in his lifetime. Curious, then, that in the 20th Century, Darwin’s legacy came to be associated with the “selfish gene” picture exclusively. In the 1970s, this rather narrow picture of evolutionary competition came to dominate evolutionary theory, and still does so today – not without some controversy and vigorous dissent. The story of how this came to pass is one of the great object lessons in the history of science because, in my view, a great scientific community took a wrong turn, and has wandered in the desert forty years. Twentieth century evolutionary theory was grown on the foundation of laboratory experiments, and is just now finding its way back to a picture that is grounded, more appropriately, in observations of nature. But this is a blog about aging. Why are we diverting into a morality tale about the controversial details of how Darwinian selection operates in nature? Because aging has turned out to be a glaring exception to the “selfish gene” picture. Because this wrong turn in evolutionary theory has affected our conception of aging generally – not just medical research and long-term social policy, but standard care for heart disease, cancer, PD and dementia has been affected. Aging is a trait that destroys individual fitness, but it is beneficial for the community, and aging is an essential ingredient in the recipe for a stable, robust ecosystem. Aging is an extreme example of evolutionary altruism because nearly everyone bows out on a fixed timetable, leaving a big chunk of their fitness on the table, and because there is no particular beneficiary of the altruism, only a vacancy in the niche that could be filled by anyone, really. History of Evolution: how did we get here? Darwin was primarily a naturalist, not a theoretician. He traveled the world collecting examples, and described his theory entirely in terms of stories and observations of animals and plants. Following Darwin fifty years later in their native England, R. A. Fisher was a giant who gave shape both to evolutionary theory and to all of modern probability and statistics. Fisher was a mathematician with only a shallow knowledge of biological phenomena. Decades before computers were available, he worked with equations that required broad, simplifying assumptions to be solvable. Yet his conception of how evolution works has molded evolutionary theory continuing to this day. Many biologists forget that the simplifying assumptions were made for computational convenience, and have come to regard them as fundamental laws of nature. Fisher believed that protecting and improving the human genetic legacy was the most important social imperative of his time. Fear of the ongoing dilution of the gene pool inspired a passion comparable to today’s movement against global warming. Fisher thoroughly conflated the ideas of “good genes” with wealth and social standing. Though his inventiveness and mathematical proficiency made him uniquely brilliant, Fisher was ideologically very much in the same league with social Darwinsts of his day. Ever since Francis Galton and Herbert Spencer in the 19th Century, Darwin’s theory has been misappropriated in the defense of class privilege and the excesses of capitalism. The dominant view, continuing to this day, is that there is no such thing as “group selection”, that cooperation in biology is always illusory and that the “selfish gene” explains all. This picture has been shaped and tainted by social Darwinism and capitalist ideology. In the 1970s and 80s, contemporaneously with the discrediting of group selection in all its forms, unregulated, pure capitalism was also emerging as the one true economic system. Both these views seem to me dogmatic, but they are entrenched and fiercely defended. Every researcher who has written about multi-level selection has tales to tell about journal editors and referees who have refused even to consider their work. In contrast, the new view – the emerging view as articulated by David Sloan Wilson, persisting through his long career – the emerging view in the evolutionary community is that the “selfish gene” is but one mechanism among many. Darwinian selection takes place on multiple levels simultaneously, and in those interesting cases where there is a conflict among different levels of selection, a detailed analysis is necessary to see whether it is the collective good or the selfish interest that wins out. We have learned well that “nothing in biology makes sense except in the light of evolution,” [Theodosius Dobzhansky] Evolutionary dogmatism has bequeathed to gerontology a false and distorted picture of what aging is, where it comes from and how it works. This mistaken foundation has led an entire community of researchers astray, and medical research has been (mostly) blind to one of the great opportunities for life-saving science. I’ll continue this topic next week, focusing more on aging, how our understanding has been shaped by evolutionary ideology, and how an alternative evolutionary explanation for aging opens new possibilities for practical medical applications. For decades, we have been treating cancer by hammering away at cancer cells with radiation and chemical poisons. Fearful that even one surviving cell can seed a recurrence, we routinely apply the maximum tolerable dose, with side-effects ranging from nausea and hair loss to permanent impairment of the immune system. Is there a better approach? Cancer is an aging-related disease. There are very different views on how aging impacts on cancer development in humans. A dominant view believes that somatic cells accumulate mutations during aging until the point where mutations cause cells to be changed into cancer cells that then clonally expand into populations of cancer cells. The premise of this theory is that cancer begins when the ﬁrst cancer cell is formed and undergoes uncontrolled clonal expansion. Another view believes that having cancer cells in the body is not necessarily a problem. This theory holds that cancer cells are formed continuously in our bodies on a daily basis but that their presence in our body can reach a dynamic balance with our body’s pre-existing ability to remove them, after they formed. Such a hypothetical natural ability to remove cancer cells was termed a cancer “surveillance system” about 100 years ago by Paul Ehrlich (1909). As long as this balance is maintained, the presence of cancer cells would not pose any health problem. Clinically signiﬁcant malignancies can form only when such a dynamic balance is tilted in the direction of having more cancer cells, less surveillance against them, or both. In the early part of the last century, we learned to kill invading pathogens with antibiotics. A generation later, we sought to apply the same approach to cancer cells. The classic approach to curing cancer has been to kill the cancer cells, but it turns out that is difficult to do without collateral damage to healthy body tissues*. So research has focused on selectivity. We are seeking approaches that kill malignant cells more reliably while sparing normal cells more completely. Too often, we find that such treatments drive cancer into remission, but cancer recurs in a few years or sometimes months. According to the standard thinking, the treatment killed all but an undetectable handful of cells, but as long as even one malignant cell remains, it will multiply unchecked, eventually recreating the full pathology. Hence standard treatments are pushed to the limit, where side-effects are fatal for some patients. But all around the edges of the cancer literature, there are alternative pictures that may better describe the broad clinical phenomena of cancer. There is an enormous and varied literature of alternative approaches to cancer. I can’t begin to survey them, but this brief article offers my personal impressions of one vein in the literature that I find compelling. This is the view that cancer is a systemic disease, a failure of the body’s central controls, especially the immune system, that continually detects cells that are cancerous or pre-cancerous and eliminates them, or induces them to eliminate themselves via cell suicide (apoptosis). Perhaps mutations produce potential malignancies through our lives on a daily basis, but these are efficiently eliminated by the immune system before they can do any damage, just as invading microbes are kept in check. In this picture, the reason that cancer so often recurs after treatment is not that the treatment has missed a few cells, but that the original systemic weakness that permitted the cancer to escape the body’s defenses in the first place has not been addressed. Cancer is primarily a disease of old age. Cancer risk climbs rapidly with age. Most researchers have explained this by positing that mutations in a cancerous lineage accumulate over many years until the last safeguard is gone, and the cell can wreak its havoc. But this remains purely hypothetical, since an increase with age of “partially converted” cells has never been observed. Meanwhile, it is well known that the immune response is weakened in older persons. so that the same malignant mutations that were caught and promptly eliminated in a younger person may sometimes progress to active cancers in an older person. Recurrent cancers are usually susceptible to the same chemo treatment that was effective the first time. This indicates that the recurrence does not regrow from the few mutant cells that manage to survive the first round of chemotherapy. These survivors have been selected for resistance to that particular agent; we should expect that the chemical agent that failed to kill them in the first round would have no more success in the second. (The situation is exactly analogous to antibiotic resistance, which develops reliably in bacteria that survive a first round of antibiotic treatment.) Since chemotherapy represents a powerful selection pressure for resistance to a particular chemical agent, only if the recurrent cancer had mutated anew from formerly healthy cells would we expect the same chemotherapy agent to work twice. Genetic diversity within tumors. A study in the New England Journal last year looked at genetic diversity of cells taken from the same cancer. They found evidence of convergent evolution. In other words, all the cells they sampled were able to evade the body’s anti-cancer safeguards, but they did so in several different ways, with different genes. This indicates that, even within a single tumor, cancer cells are derived from multiple progenitors. This is a strikingly significant observation. Where is the bottleneck in the progression of developing cancer? Results like these suggest that the problem is not the mutations leading to a malignant line of cells that is the signal event, because this happened several times. Maybe a stand-down of the body’s immune defenses is the most important event leading to clinical cancer. If neoplastic conversion has already taken place several times independently, then it is a fool’s errand to stamp out every last cancer cell. If cancer has already evolved from healthy cells multiple times within the same patient, then the monster is sure to recur unless we treat the cause, which is the weakness of the body’s innate defense. There are hopeful, if underfunded initiatives that seek to treat cancer by supporting the immune system rather than by poisoning cancer cells. Quoted at the beginning of this blog is Dr Zheng Cui of Wake Forest Institute, who fortuitously discovered that he could reliably cure cancer in mice with a transfusions of granulocytes (a type of white blood cell) from a strain of cancer-resistant mice. In the past few years, Dr Cui has applied this concept to humans. Dr Shimon Slavin (who recently moved from Tel Aviv to the International Center for Cell Therapy and Cancer Immunotherapy in Hong Kong) has experimented for decades with immune cell transplants from a healthy donor into a cancer patient. The procedure reliably eliminates cancer, but a serious (sometimes fatal) side-effect is graft-vs-host disease (GVHD), because the transplanted immune cells attack not just the cancer but the patient’s healthy cells as well. Cancer vaccines are a growing field, already the largest class of alternative cancer treatments. Meanwhile, conspiracy theorists claim that enormous profits from the classical cancer treatments have created an interest group that undermines investigation of the most promising alternative approaches. They may be right.